List in Under 60 Seconds. This time, you get to decide your own selling price! "Awesome service, very responsive. Le-Portier has been very helpful to me from the start. Absolutely no doubt about the authentication and has never been easier!" "What I love about Le-Portier is they cater to my needs and stick with it. I always thought selling my items would be very complicated. They are able to make it effortless. Two thumbs up!" "Great service, very responsive. Le-Portier has been very helpful to me from the start. 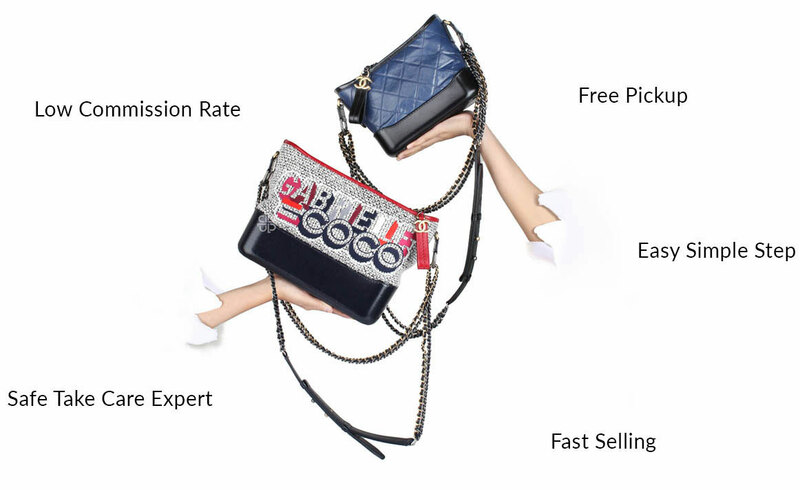 Absolutely no doubt about the authentication and selling my preloved items has never been easier!" "With so many companies out there, it can be confusing to choose where to consign or sell your pre-loved goods to. That was before Le-portier. I am so thankful for their professional, hassle-free system with a high cash back value that ensures I'm getting the best price for my items without even leaving the house. Thank you Le-portier!" "Basically, I'm a kind of person who easily bored of my stuff. But with Le-Portier, i don't have to worry anymore no matter how many stuff i purchased i can sell it again with a very reasonable price, and i don't have to worry about its authenticity." "Thanks @shopleportier for the services, bukan pertama kali belanja disini, cepet banget responnya dan good price also." “Tell us your story about selling and buying with Le-Portier .